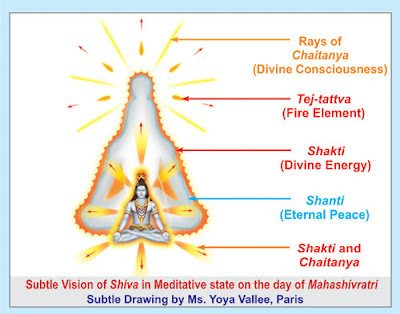 Shivratri is the time when Shiva takes a rest. Shiva rests for one 'prahar' (three hours) of the night.. This 'prahar' is referred to as the Shivratri. i.e. Lord Shiva goes into a meditative state. He is engrossed in His own spiritual practice. of the negative energies increases. are offered to Lord Shiva. effect of the negative energies. The Earth is a gross object. i.e. they require more time to cover a specific distance in space. are capable of traversing space within a few seconds. is equivalent to just one day of heaven. Thank you, I've recently been looking for info about this subject for a long time and yours is the greatest I've came upon till now.